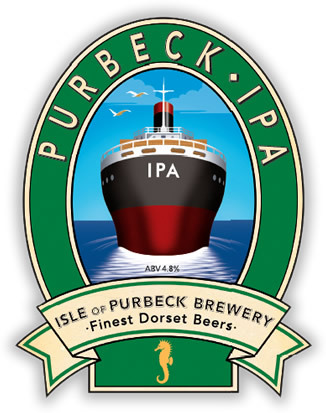 Isle of Purbeck’s Purbeck IPA | DorsetBreweries.com - A Guide to Dorset Breweries and Dorset Beers! A premium Indian Pale Ale style beer, golden-amber in colour with an abundant spicy and floral hop aroma. The marist grist ensures a wonderful balance of full, smooth malt flavours and a lasting finish.